Our latest Insider is Cedric Brown, CEO of the Mitchell Kapor Foundation, an Oakland, CA based family foundation, which supports organizations that provoke social change in communities of color en route to equality. The foundation was founded by entrepreneur and philanthropist Mitchell Kapor in 1997 to support programs and activities that address the urgent needs and issues in our society. 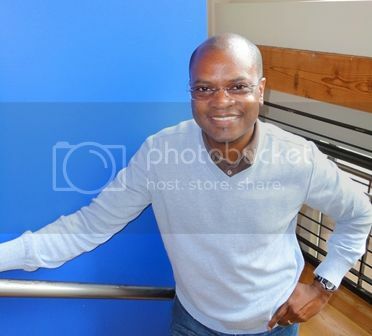 Cedric has over 20 years of career experience as an educator and funder, working with the San Francisco Foundation, San Francisco Education Fund, Switzer Foundation and Level Playing Field Institute among others. He has served as a board/committee member of Northern California Grantmakers, Funders Committee for Civic Participation and Council on Foundation's Family Philanthropy Committee; and was immediate past board chair of Bay Area Blacks in Philanthropy (BABIP). In 2010, Cedric received the Association for Black Foundation Executives (ABFE) Emerging Leader in Philanthropy Award and was profiled as a 2011 Changemaker in the San Francisco Chronicle. Cedric is from Winston-Salem, North Carolina and holds degrees from the University of North Carolina and Stanford University, and an executive certificate from Georgetown University. Cedric was one of the first African Americans in philanthropy that I met in the San Francisco Bay Area, when I covered the BABIP State of the Race Conference in 2010. Recently I had an opportunity to talk with Cedric about his career and one of his foundation’s most visible initiatives, the College Bound Brotherhood. How did you get your start in philanthropy and why did you choose it as a career? I feel like I stumbled into the philanthropic sector. I was trained as an educator and worked in a middle school before landing a program associate job at the San Francisco Education Fund. This provided my first introduction to grantmaking and the notion of philanthropy. It was there that I assisted with, and eventually ran, their signature grants for teachers program. I immediately liked being able to galvanize and direct resources in a responsive way, and have remained in the field since then. What advice would you give to young professionals that wish to pursue a career in philanthropy and grantmaking? Definitely develop a deep familiarity with a particular field (because most grantmakers have skills and backgrounds rooted in the issue-driven work that they eventually support as program officers). Folks should also understand that there many doors into the funding sector, not just through program officer positions and grantmaking. Communications, donor relations, and corporate relations are also great ways to work in pursuit of a foundation’s mission and greater community impact. I also want to make a distinction between “philanthropy” and “funders.” My above advice is connected to funding institutions like foundations. Many people have the potential to be a philanthropist at some level; both of the Obama presidential campaigns and the growing presence of giving circles across the nation give credence to the impact of collected “small” dollars. Please share a favorite success story from one of the Mitchell Kapor Foundation’s initiatives. I want to first point out the fantastic impact that our grant partners have had in their respective communities. Out of all of the critical work we’ve helped to support, I’m probably proudest of the organizations that have worked really hard to ensure our fair and participatory democracy in the U.S. I’m proud that we were one of the earliest supporters of Voto Latino, which has now grown into a multi-million dollar organization with tremendous reach in engaging mostly young Latino/a voters. I also deeply respect the Advancement Project, Lawyers’ Committee for Civil Rights Under Law, the NAACP, and Color of Change.org. Individually and collectively, those organizations fought back the rampant voter suppression efforts in the 2012 elections and opened the doors for people to vote – even if they had to stand in line for hours to do it. We don’t often see the tremendous work that goes into basic protection of our rights, but rest assured that these good folks are always fighting the good fight. One of your foundation's programs is the College Bound Brotherhood. Why did your foundation start this program and why is this work important? The College Bound Brotherhood grew out of an office kitchen conversation between me and Freada Kapor Klein, our board chair. We saw the lack of black male applicants to our education programs – both at the high school and college levels – and wanted to create an institutional response. Why is this work important? Because even in today’s economy, a college degree is a proxy for greater economic mobility. African American boys are less likely to have enrolled in college prep courses (including AP classes), less likely to graduate from high school, less likely to enroll in college, and less likely to complete a college degree than any of their counterparts – including black women. We know that male students at HBCUs are highly likely to be outnumbered by their female peers; sometimes there are twice as many women! These imbalances point to the grave importance of ensuring the success of young black men in their college pursuits – our families and communities need their brainpower, income, and leadership! There are so many more reasons to underscore, but I’ll stop there. As a successful African American man, why do you feel it is important for African American men to play an active role in ensuring the success of African American boys and young men? While I understand and respect most of the old adages about the importance of black men “mentoring” (broadly speaking) black boys and youth, I’m personally committed to the cause because young black men need to understand the broad range of positive black male expression. Our archetypes aren’t just limited to athletes, entertainers, buppies, and blue collars. Sometimes in our quests to be Black and manly, we don’t allow ourselves enough space to just be human. Additionally, I don’t think this guidance should be the sole responsibility of black men – everyone can (and must) contribute and play a role in shaping and supporting our youth. 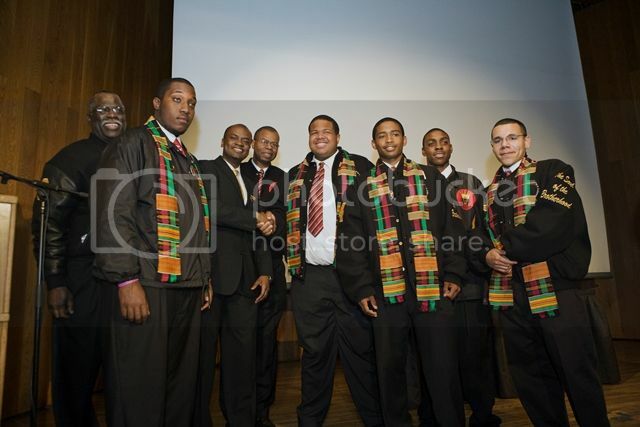 What events or projects are upcoming for the College Bound Brotherhood initiative and how can people get involved? I’m so excited that the Brotherhood has now grown into a fantastic partnership with the College Access Foundation of California, which allows us to double the size and scope of the Brotherhood’s work, both with young black men and the programs that support them en route to a college degree. We’re going to have a launch event in April (check our website for information as it unfolds). Perhaps one of the best things that interested folks can do is volunteer time at one of the Brotherhood member organizations, which are listed in our online database, CollegeBoundBros.org. What is your greatest career lesson? I think it’s hugely important to carve out what you do and don’t want to do, job-responsibility-wise, and don’t be afraid to ask for what you want. Then “pray like it all depends on God; work like it all depends on you.” And always maintain your integrity. 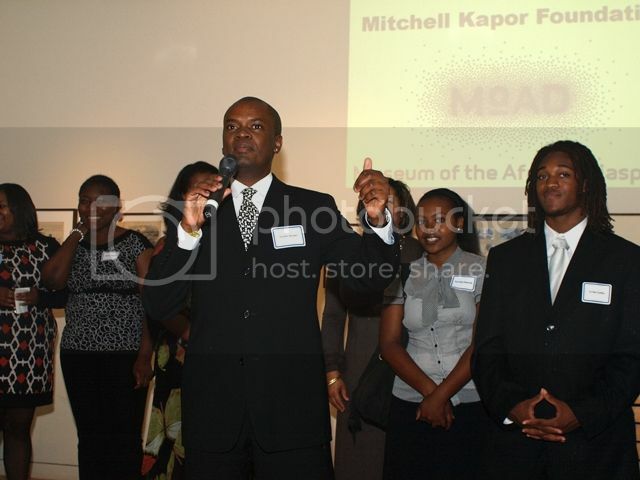 Visit the website at mkf.org and College Bound Brotherhood at collegeboundbros.org. A native of Miami, FL and an alumnus of Florida A & M University, Ms. Tokiwa T. Smith is a social entrepreneur and science, technology, engineering and mathematics (STEM) educator with over 10 years’ experience working in education and philanthropy. She is the Founder and Executive Director of Science, Engineering and Mathematics Link Inc. and CEO of Kemet Educational Services, a STEM education consulting firm. Tokiwa was recently named as one of 10 Black Tech Twitter Tweeps to Watch by Ebony.com.